Please submit your vacancies for Human Resources Jobs , HR Jobs . 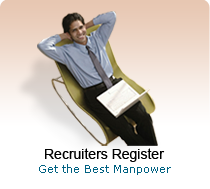 This page will be immediately updated with your Human Resources and details. Make sure you give short but precise details in the field of Human Resources. Please do not forget to give your email Id and contact phones. Summarized Resume : Recruitment Selection,salary Related Work, Training Program Etc. Summarized Resume : Mba With Hr Specilization With 2 Yers Exprience. Summarized Resume : Continuing Final M.c.a.under Anna University. I Am Looking For A Job In Hr Field. Even Though I Have No Experience In Hr Field I Am Confident In My Best Performance, Interaction And Leadership With Individuals And Groups.thank You. 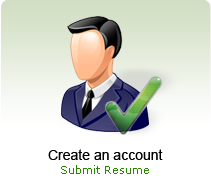 Summarized Resume : Recruitment As Well As Generalist Profile. Summarized Resume : I Did My Mba In Hr And Marketing, Now Iam Working In A Consulting Firm . I Have More Than 6 Mths. Of Experience. I Want To Apply For Admin Or Backoffice Job. Summarized Resume : Typing Work Jobs In India At Home Profit From The Web. ... Want To Work From Home. Yes... Simple Typing Online Forms For Us. Absolutely Legitimate Income .